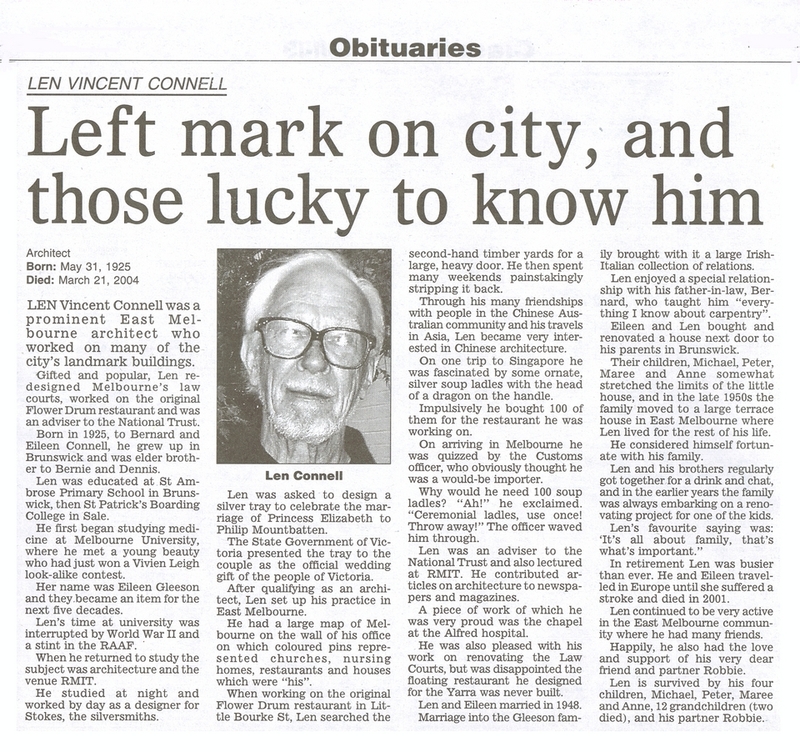 Obituary of Len Connel who died on 21 Mar. 2004. Len lived at 18 Berry Street.